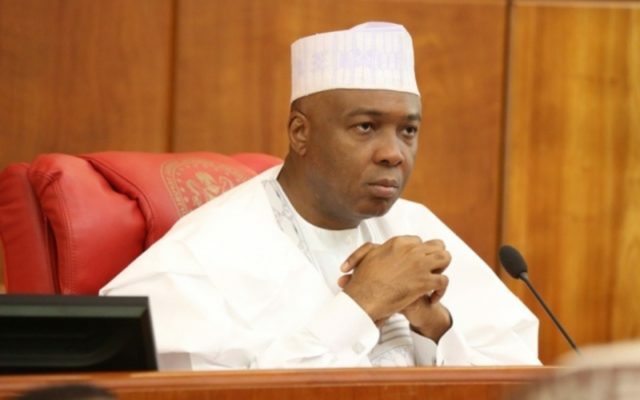 Senate Bukola Saraki, President and national leader of the Peoples Democratic Party, PDP, , said the Federal Government would have silenced him if he had skeleton in his cupboard he stated this yesterday 27 January in Offa, Ilorin Kwara State . He revealed this at a reception by residents of Offa, where he led members of his party to a campaign rally in the local government. Saraki said, “I had earlier told my people that they can’t do the Offa campaign in my absence. They may do those of others but not this one. Offa and Ilorin have a long history of relationship. Once the two would agree on anything it is taken. I see myself as a son of Offa. “Our campaign has a definite plan for Kwara State and Nigeria. Since we joined the PDP the party has honored Kwara State, they gave us DG of Campaign, National Leader of the party and have agreed that if the party wins, Senate President is our slot in Kwara. But what has the other party to offer? If I have skeleton in my cupboard this government would have silenced me and forced me to drop the campaign. “But for God and the support of the people I would not be standing today. They did not want to honor our agreement. We all laboured and what they could not get in three times they got it and we demanded that they give to Kwara what we deserve. We need to teach our seasonal politicians a lesson on the poll date.” We want community development, let everybody come and contribute their quota to our communities; when Saraki do his own and let them too do their own. I heard that some politicians have been buying JAMB forms in 2019. The question to ask is where were they in 2016, where were they in 2017? “APC leaders in Kwara can’t access President Buhari for anything. Speaking, the traditional ruler of Offa community, Oba Muftau Gbadamosi, said: “The turn out today was our own way of showing gratitude. That is our style here. Since I came on this throne Offa has benefited immensely from the state, even up till the last two weeks when i told them about a road and they have come to work on it. “But the opposition will be issuing out any form of statement telling lies that this government has not done anything for us. There is no request we brought to the government that was denied. This is not politics; my claims are verifiable.